“There’s No Money” – Has China’s Shadow-Debt Reckoning Finally Arrived? Months before Beijing abandoned its deleveraging plans and approved a gargantuan 4.64 trillion yuan credit injection (including the “shadow” credit that the government had vowed to curb) – which, as we pointed out at the time, resembled the January 2016 “Shanghai Accord” intervention (when Beijing famously intervened to stop global stock markets from careening off a cliff) – a team of S&P credit analysts warned in an October report that China’s debt burden might be much larger than previously believed. Against a backdrop of soaring corporate defaults, the team from S&P warned that investors could safely tack on another ~40% of debt/GDP to China’s total (with even more likely hidden from view) after a careful analysis of a new source of shadow debt being tapped by local governments to further their development plans. These Local Government Financing Vehicles, or LGFVs, represented “an iceberg with titanic credit risks” as local officials had increasingly turned to these sources of shadow financing to finance development projects while bureaucrats in Beijing struggled to turn off the credit taps. Now that Beijing has reckoned with the idea that now is not the time to try and contain the country’s massive debt load, even as the percentage of bad debt balloons, it increasingly appears that these measures might be too little, too late for investors who financed these LGFVs, as the Wall Street Journal revealed in a report about how a local government in China’s impoverished Southern had caused a stir by stiffing its creditors after racking up a debt pile – largely through these LGFVs – equivalent to roughly three times the government’s annual revenue. When a group of wealthy investors traveled to Sanhe to confront the local government, they were swiftly rebuffed, leaving them little recourse to recover their money. Meanwhile, many of the buildings that their money helped to finance stood half-finished. 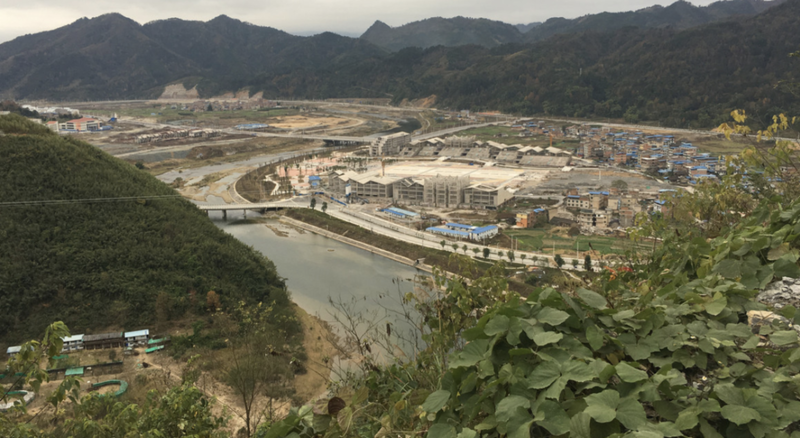 A building splurge in this impoverished pocket of rural China ended in half-finished projects and a trail of angry investors from some of the country’s wealthiest areas. Though it might be tempting to chalk this up to the mismanagement of Sanhe’s local officials, WSJ claimed that situations like this are playing out in rural areas across China. Many regional governments are already struggling with debt piles in excess of 100% debt-to-GDP, and that’s before factoring in the shadow financing sources. And it’s not just wealthy Chinese fund managers who are being left in the lurch; many residents opted to invest in these vehicles after being seduced with high advertised returns – only to see their savings vanish. 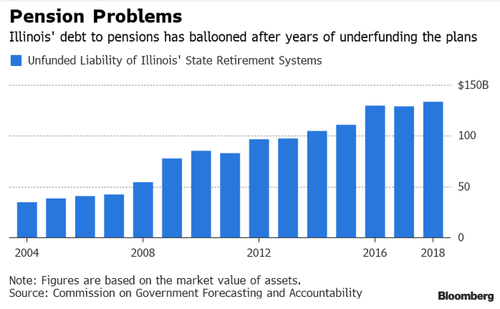 One investor who spoke with WSJ claimed that the shortfall wasn’t the local government’s fault, but a result of mismanagement and regulatory failures impacting the entire Chinese financial system. In Sanhe, problems first arose after the local Communist Party chief was removed in a bribery investigation last year. The region missed its first debt payment in September, but has been struggling to make up these payments. While putting a number on thee amount of shadow debt in the system is difficult due to the opacity of the Chinese financial system, one economist at a domestic think tank estimated that off-balance-sheet borrowings by local governments could be as much as 23.6 trillion yuan, as of the end of 2017, meaning that total is likely higher today, as governments have been forced to tap these vehicles during Beijing’s deleveraging campaign. 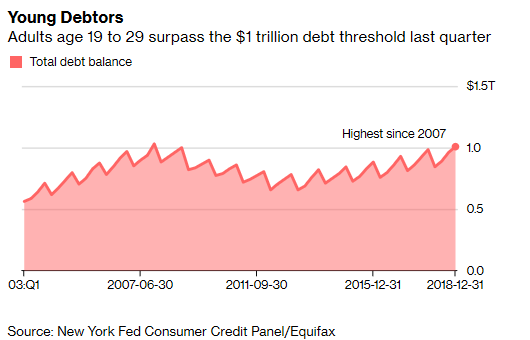 Fortunately, Beijing’s latest reversal should at least reopen the taps for on-the-books debt, allowing governments to restart some of these projects, and potentially raise money to pay back the LGFVs. But whether this could work as a long-term solution is doubtful, as most see it as just another episode of can-kicking by Beijing, in the absence of real structural reforms.